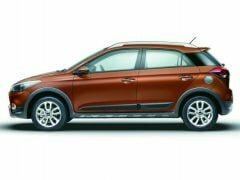 The Hyundai Elite i20-based Crossover has been officially launched and Hyundai has priced the low-end model of the car at INR 6.38 lacs. Unlike what being speculated, the new i20-based crossover has not gone on sale under the ‘i20 Cross’ moniker. 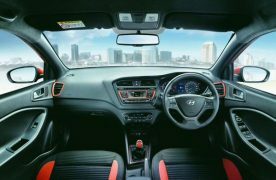 Instead, the car is being simply called as the Hyundai i20 Active. 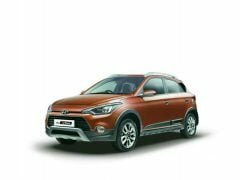 It maybe noted that crossover versions of the Etios and the Polo, both have received the ‘Cross’ branding and hence, it was earlier being speculated that even Hyundai India will follow a similar nomenclature for the i20-based crossover. 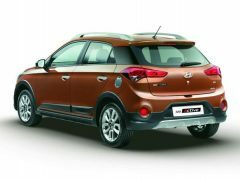 Here, in this post, we have come up with all the important details of the just launched Hyundai i20 Active crossover. Thanks to CarBlogIndia for these information about i20 Active. The front-end of the new gen Hyundai i20 Active crossover aka Elite i20 Cross gets a host of new bits that work together to bestow the new model with a unique identity. Among other updates, the car gets projector headlights and LED daytime running lights. The car also gets updated foglights design, a new bumper and a faux skid plate. In side profile, the car gets roof rails, alloy wheels, satin finish for the fuel lid and body cladding. The car also enjoys a higher ground clearance than the the hatchback sibling. At the rear, the car gets a new rear bumper. 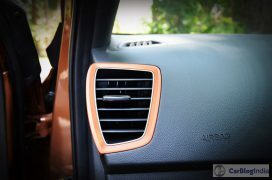 Akin to the exterior, the interior of the i20 Active is much like that of the Elite i20. However, the panels get a black treatment, along with getting blue/orange highlights depending on the exterior paint shade option. Hyundai India has always been liberal with loading its cars with class-leading features and much like other Hyundai models on sale in the country, the i20 Active benefits from some class leading features, such as – cooled glove compartment, engine start-stop button, rear aircon vents and a premium audio system with internal storage. Also, the i20 Active gets a thoughtful safety feature that ignores accelerator input while the brake pedal is being pressed. Powering the car is the same set of engines that power the i20 hatchback. This means that the new Hyundai i20 Active gets a 1.2-litre petrol and a 1.4-litre diesel four cylinder engines. While the petrol motor comes mated with a five-speed manual gearbox, the diesel engine gets a six-speed unit. While the i20 Active enjoys the same power-torque figures as its hatchback sibling, revised gear ratios has led to a 6% and 11% increase in the performance of petrol and diesel variants respectively. As we discovered during the media ride, the i20 Active does ‘feel’ more sprightly than the Elite i20.